This was such a romantic day! The only people at Natalia and Han's wedding was themselves, the 2 witnesses who they had not met before, the registrars, 2 hotel staff and me! 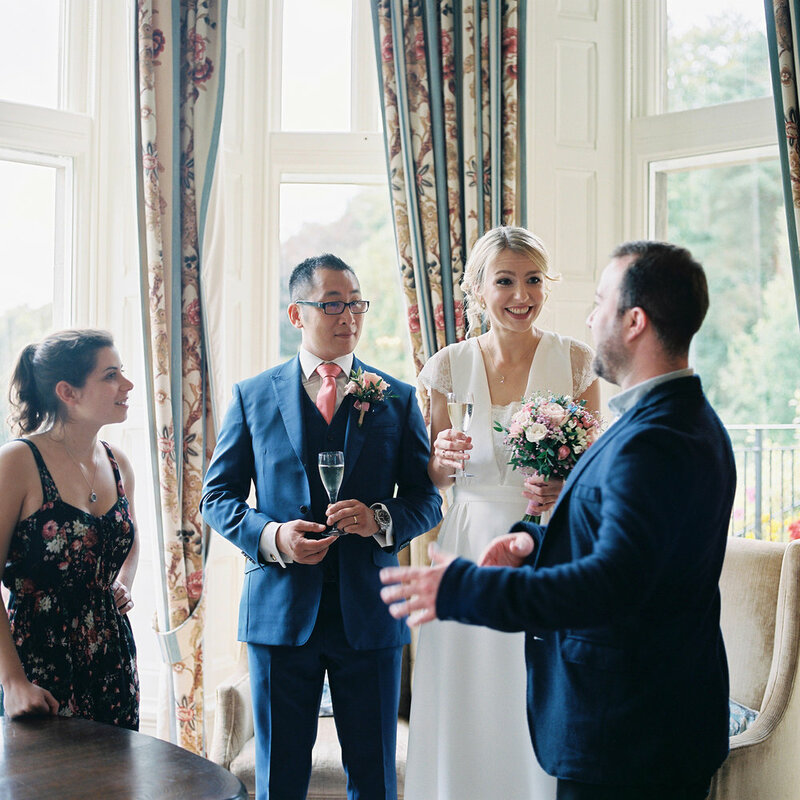 They arrived from London by train to the heart of the Lake district, which is arguably one of the most beautiful destinations in the UK, in , to get married before travelling home 2 days later, an utterly romantic whirlwind. 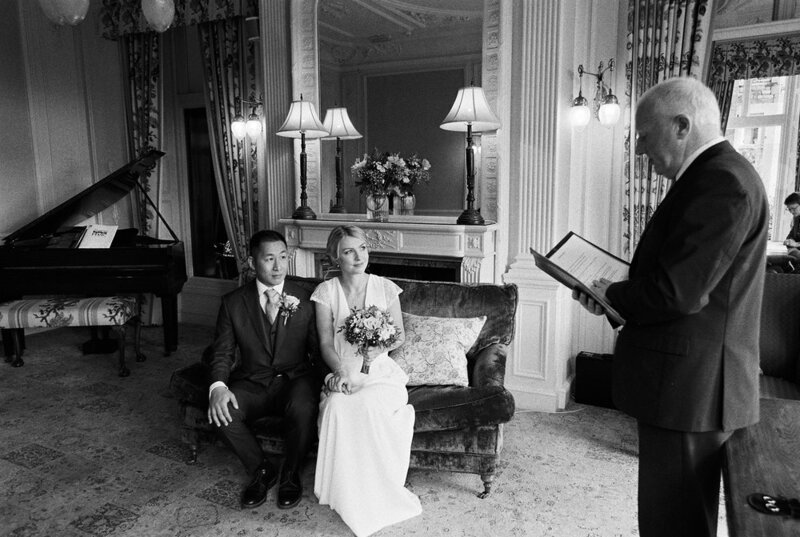 The Merewood Hotel is a stunning venue surrounded by beauty out of every window. 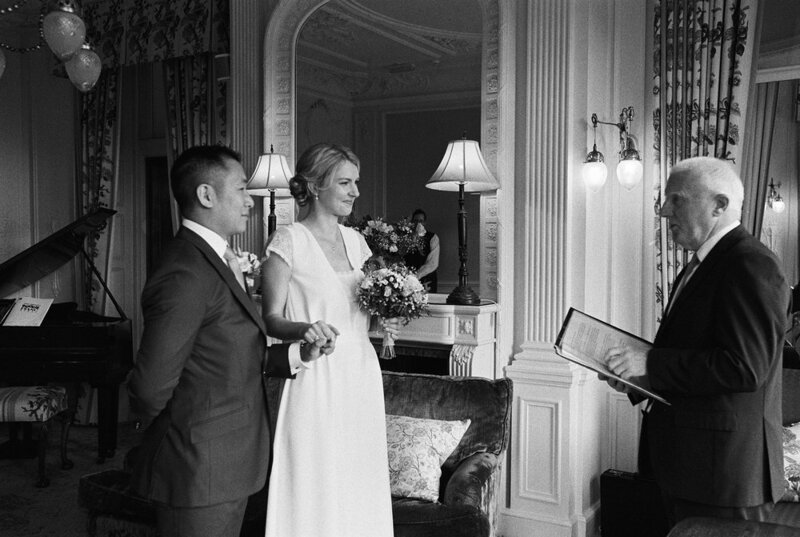 I felt so honoured to be there with Natalia and Han on this extremely personal wedding day. We had such a great time in and around the Hotel and down to the very cold lakeside! It was hard just to pick a few favourites so you might want to gerab a cuppa before sitting down to look through these! Two lovely people I am so pleased to have had the chance to meet. Congratulations Natalia and Han! If you are interested in booking a wedding with me I'd love to hear from you and you can contact me here.